We wanted to take a moment to say thank you to everyone who ran, walked, volunteered, donated, and sponsored the 3rd Annual Run for Hope 5K and 1 Mile Event. 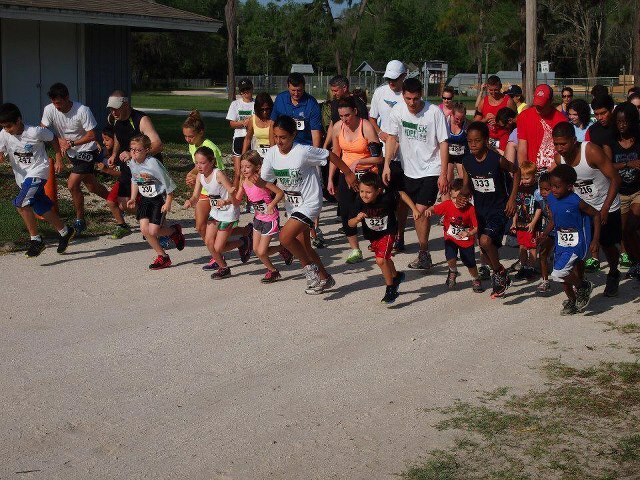 With your help, this year’s race was a huge success! We raised over $3,000, all of which will go directly to Mattie’s therapies. Congratulations to the male and female winners of the race, Romeo Gomez and Kim Myers! Mattie was there on race day, cheering on each runner as they crossed the finish line. Mattie posed with all the winners and she was all giggles! Don’t forget to mark your calendar for our next event, The 3rd Annual Hope for Mattie Charity Golf Tournament and Dinner Banquet. It will take place at Heritage Harbor Golf Course in Lutz on October 17, 2015! Registration will be opening soon. We are always overwhelmed by people’s willingness to help us. 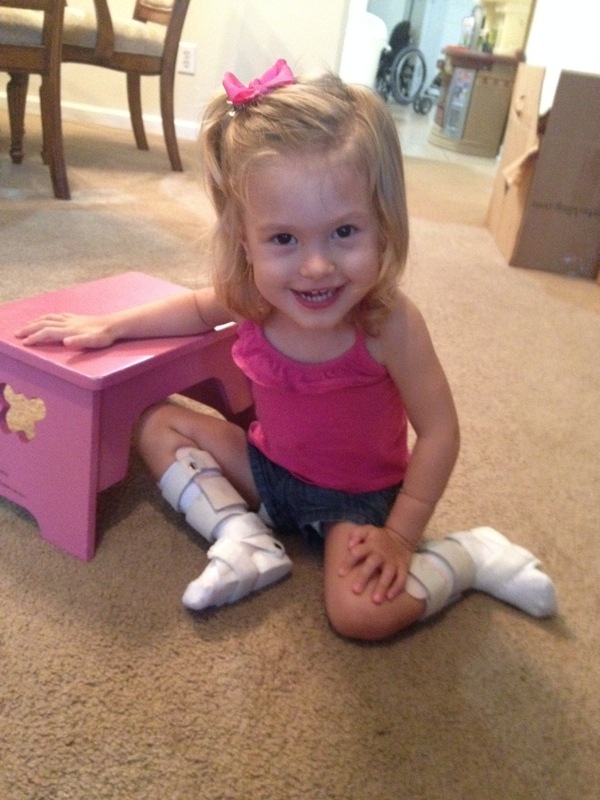 Your generosity is greatly appreciated and goes a long way towards helping Mattie reach her potential. From our family to yours, thank you. We wanted to take a moment to say thank you to everyone who ran, walked, volunteered, donated, and sponsored the 2nd Annual Run for Hope 5K and 1 Mile Event. With your help, this year’s race was a huge success! We raised over $4,000, all of which will go directly to Mattie’s therapies. Congratulations to the male and female winners of the race, Jonathan Bing and Lisa Vaile! . Mattie was there on race day, cheering on each runner as they crossed the finish line. She had a blast. After the event was over, Mattie and her dad went in the bounce house together. Her giggles melted my heart! Don’t forget to mark your calendar for our next event, The 2nd Annual Hope for Mattie Charity Golf Tournament and Dinner Banquet. It will take place at Heritage Harbor Golf Course in Lutz on November 8th, 2014! 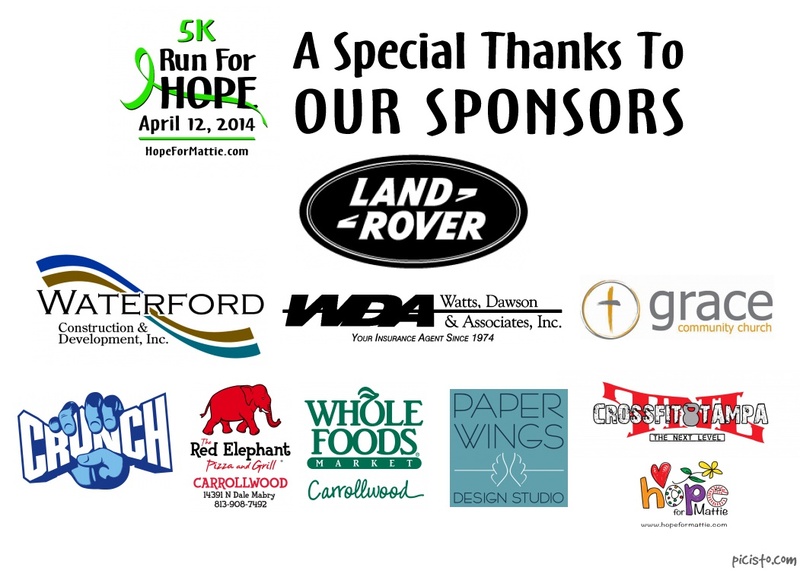 We are just 2 months away from the 2nd Annual Run for Hope 5K and 1 Mile Fun Run/Walk! This year will be even bigger and better! We are excited to announce that we will be adding a Family Post Race Party with Music, Bounce Houses, Food, Raffles and More! Even if you are not a runner, come walk the 1 mile in beautiful Lake Park or become a volunteer. Help us spread the word by sharing our event with family, friends, co-workers, and schools! We are still looking for Sponsors Please email us at hopeformattie@yahoo.com or click HERE for more details. Sponsorship opportunities are available for as little as $50. Don’t forget, all proceeds from this event directly fund Mattie’s therapies! Everyday holds the possibility of a miracle! We hope to see you on April 12th! 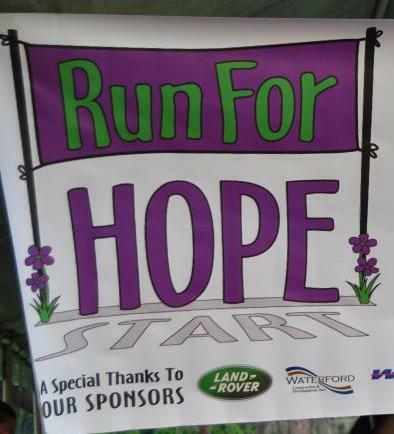 To check out pictures from the 1st Annual Run for Hope 5K – Click Here! I will admit that the few days leading up to race day, I was nervous, stressed, and driving everyone crazy, namely Jim. I had been up till 1am for almost 6 days straight working on the details and getting everything ready, but the lack of sleep was starting to effect me. Yet on race morning, I woke up feeling energized and ready to run myself 🙂 I was excited to see how the day would turn out. We had 140 registered 5k runners going into Saturday and not really sure how many more people would come and register the day of. We also had 36 1-milers registered. We surpassed our goal of 125 so I was excited. Mattie was the star of the day getting her photograph taken with the runners and meeting all the amazing people who came out to run in her race. The morning went by so fast. Before I knew it, the awards were given out and we were cleaning up. The feed back we received was great. We also had some great advice given to us for next year’s race. We were able to raise a total of $5,160, over $2,500 more than our goal. You can’t even imagine just how blessed we feel. It looks like we will be heading back to California sooner than we thought! With the results we are seeing everyday with Mattie, I just know that even more progress can be made with another trip on the horizon. We owe a huge thank you to Mindy and Jennifer for coming up with the idea and moving forward with it. If it was not for the two of you, this day would have never happened. To everyone who sponsored, volunteered, ran, walked, supported, donated and just sent good thoughts our way…thank you for supporting our family. YOU are the reason for Mattie’s progress and we will forever be grateful.